Liverpool, NY – January 22, 2019 – JMA Wireless, a global leader of wireless communications solutions, was selected by HALO by Mobile RF, a national provider of turnkey wireless real estate sector solutions, for the deployment of an in-building wireless network at the Crowne Plaza Atlanta – Midtown. The multi-carrier, multi-band TEKO™ DAS (distributed antenna system) from JMA Wireless will enable powerful mobile communications throughout the 500,000 square feet facility, which is particularly critical as the hotel readies itself for the thousands of fans who will converge on Atlanta for Super Bowl LIII on February 3, 2019. The JMA TEKO DAS will provide in-building cellular coverage and capacity with two sectors, supporting three mobile operators, and the 700, 850, 1900, 2100, 2300, and 2500 bands. In addition, this future-proof platform is prepared to offer coverage for 5G as commercial deployments roll out in 2019. 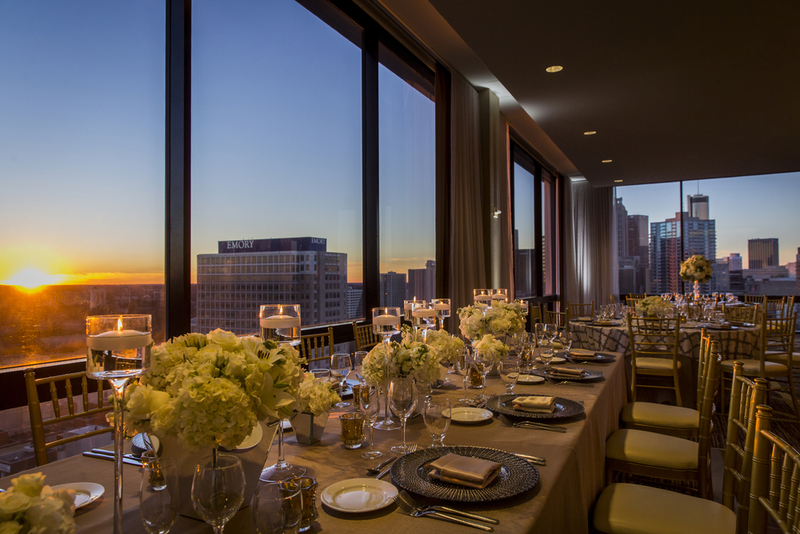 The JMA TEKO DAS will provide powerful cellular coverage throughout the 26-story Class A Crowne Plaza Hotel, including the beautiful Sky Room event space pictured here. Conveniently located near world-class shopping, a plethora of restaurants and area attractions such as the World of Coca-Cola Museum, the Georgia Aquarium, and CNN Center, Crowne Plaza Atlanta Midtown is perfectly situated between Downtown Atlanta and Buckhead, making it the ideal accommodation option for business and leisure travelers alike. The 360-room Crowne Plaza Atlanta is located in the same Midtown Atlanta building as its dual-branded hotel partner, the 102-room Staybridge Suites Atlanta Midtown – the first dual-branded partnership of this kind in the United States. Guests of both properties enjoy shared amenities including THRIVE Farmers Specialty Coffee Shop, the SKY Room event space, and top-notch cuisine offerings.